It’s always nice to have a little bit of revenue coming in from your homestead produce. 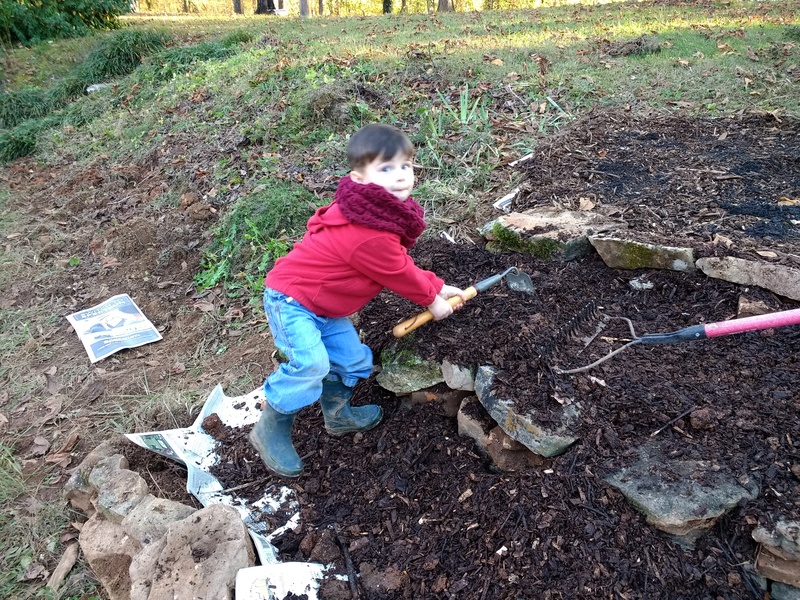 In fact, part of me staying home with the babies is that I then have the time to spend developing our property into a productive piece of land that hopefully one day our children will decide to continue farming. I get to cultivate in them a love of nature and a relationship with the land; they have a hand in growing the food they eat. Not only that, but making a supplemental income from our land means I help to relieve some of the financial burden from my husband’s shoulders and he’s able to spend more of his time with our family and less time away from home working. 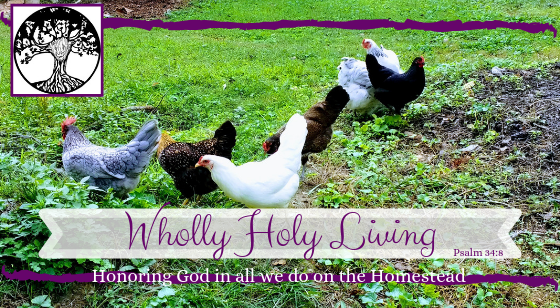 That said, my husband and I sat down about two years ago and made a list of our goals, both long term and short term, for the homestead; what we wanted to grow, produce, what animals we want to raise, etc. 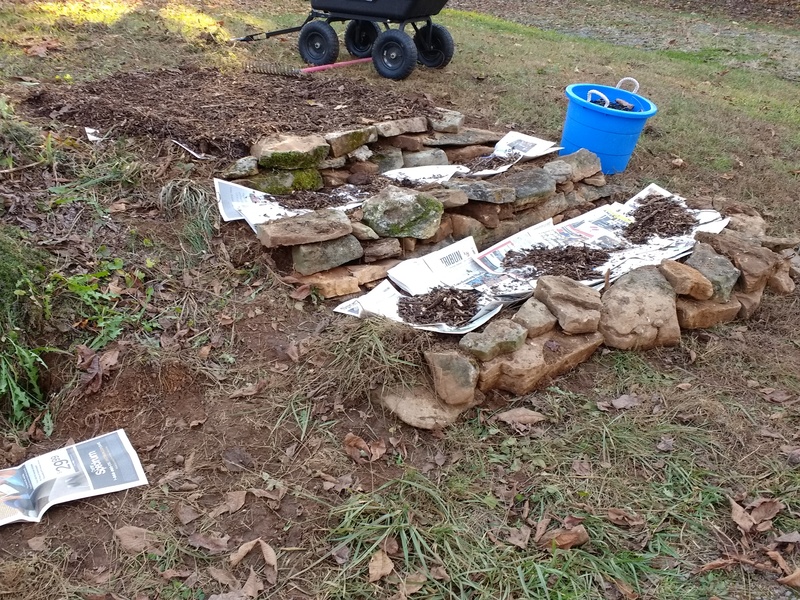 So far, we’ve accomplished chickens for eggs, built their coop from scratch, and built a hugelkultur swale, and a large terraced vegetable garden, and established fruit trees and berries. Our next step is a market garden. Are we doing this on a hobby farm level, or are we looking to make it a small business enterprise? What are the implications of taxes and permits and the like for selling our produce? Is there a vacuum or niche we can fill at our local farmer’s market? What makes our operation unique and desirable? Will the profit margin validate the time and effort we put into the endeavor? All those questions have to be addressed and answered before taking on the responsibility and commitment of running a market garden. Yes, we have decided to turn it into a small business for our family, and that we can fill an herbal niche at our farmer’s markets. 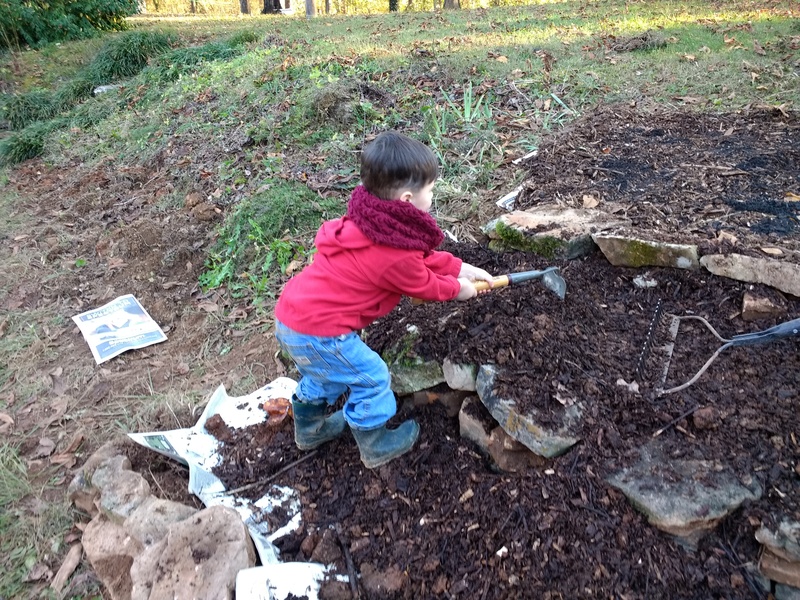 Once we (mostly) answered all those questions, we began to plan an area for the garden. 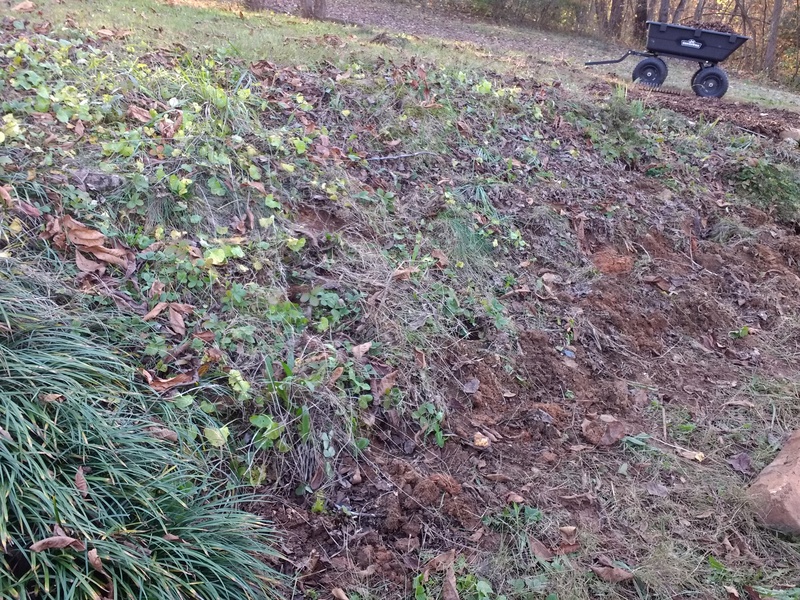 This will be an arduous process as the land is all weedy and scrubby. 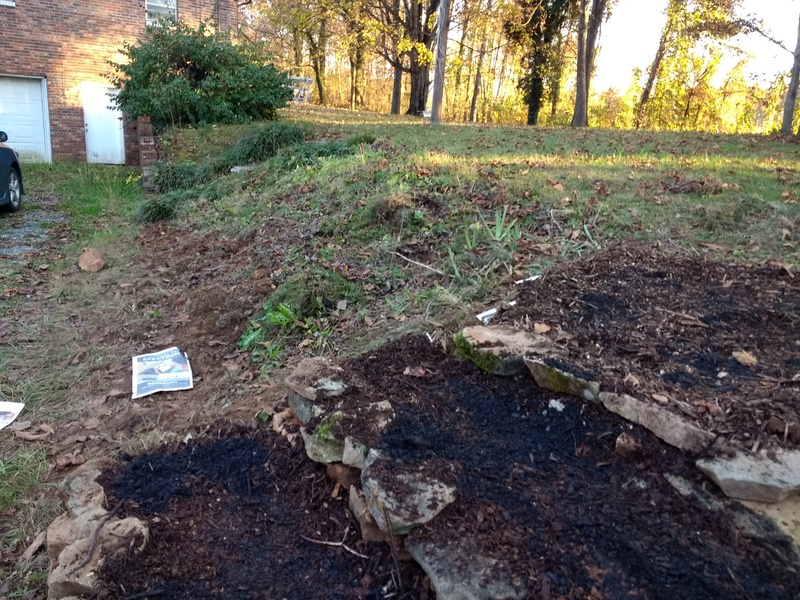 My first step is digging out all the undesirable plants that had taken over the slope (and uncover all kinds of massive rocks I assume were once intended to aid in preventing erosion) and to prepare the soil to be sown with herbs in the spring. We plan on growing and selling organically grown herb and vegetable seedlings, fresh cut culinary herbs, dried herbs, herbal soaps, herbal teas, and other herbal preparations. This means we have to be very intentional and deliberate in the ways we prepare the land. We want to be completely free of pesticides, fertilizers, and any inorganic chemicals so that our products are pure and unadulterated. The market garden will eventually extend the entirety of the slope as well as a few other designated patches around the property. And then we’ll begin our business venture in the spring when the farmers markets get up and going for the season! Stay tuned for more information on our homestead development and for the unveiling of our homestead name and logo!